Assuming the ACT Electoral Commission isn’t in the mood to go pop-culture and name the five new electorates after the Planeteers from Captain Planet, as one Canberran suggests, Aboriginal names are the most popular idea in submissions on the five new electorates. 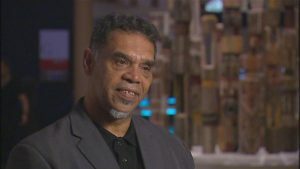 Some Canberrans suggested historic names, including the early Canberra surveyors, but many opted for relevant Aboriginal names – Gungaderra was a common suggestion for Gungahlin, while others urged recognition of the Ngambri people. One suggested the Aboriginal names for magpies, Karragang (for the Gungahlin electorate) and gum trees, Yerradhang (for Tuggeranong). Another suggested Warrumbul, which means “youth” in the Ngunnawal language, would be a suitable name from Gungahlin. Others were more prosaic, like the suggestion that three electorates simply keep their existing names, Molonglo, Brindabella and Ginninderra, and the two new ones be named Woden-Weston and Gungahlin. Another suggested Kippax for the Belconnen electorate, since a shopping and community centre in West Belconnen “seems a reasonable choice”. And yet another of the 56 submitters suggested a former Liberal chief minister (between 1989 and 1991), Trevor Kaine, be honoured in the name of a Tuggeranong electorate. More than one submitter suggested naming the central electorate Griffin, after the lake and the designers that gave the lake its name. But columnist Crispin Hull urged the commission not to use people’s names. 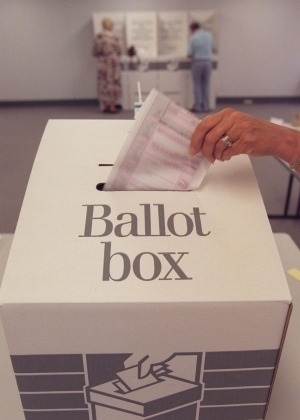 “Electorates are areas, after all, and should have names with geographic relevance,” he said, suggesting Namadgi for the Tuggeranong area, Brindabella for the inner south, Ginninderra for the far north, and Ngunnawal and Molonglo for the others. With his eye on resonant events, Ray Whitehead backed Farnham for Woden-Weston, after the only telescope to escape the 2003 bushfires at Stromlo, and Bettong, after the rabbit-sized kangaroo being introduced to the Mulligans Flat nature reserve after 50 years’ extinction from the Australian mainland. Adrian Constance said the electorates should be named after nature reserves – Umbagong, Goorooyarroo, Mugga, Stromlo and Namadgi. Stephen Goggs looked to the history books for two suggestions – naming electorates after early Canberra surveyors, Sheaffe, Mouat, and Johnston; or after some of the counties and parishes subsumed by the federal capital territory in 1913 – Murray, Cowley, Gigerline or Cuppacumbalong. Submitter Darren McSweeney had a similar idea, adding early parishes Weetangera (for Belconnen), Narrabundah (central), Urayarra (Woden-Weston) and Tharwa (Tuggeranong), among other suggestions. Anne-Maree Nelmes also looked to history, nominating Marion Mahony Griffin (central), Paddy’s river (Woden-Weston), Athlon (Tuggeranong). Charles Ulm (Belconnen), and Henrietta Worrell (Gungahlin). Mark Mulcair, who had the Kippax idea, also suggested Arrawang for Woden-Weston after Mount Arrawang, Tharwa for Tuggeranong, and Griffin for the centre. The Liberal Party urged the commission to choose five new names, saying it wasn’t fair that some Assembly members could be perceived to be continuing in an electorate while others were perceived to be moving to a new one. The Greens suggest retaining Ginninderra and Brindabella, and adding Gungaderra (Gungahlin), Griffin (central), and Stromlo (Woden-Weston). 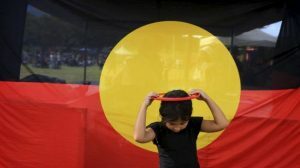 Labor suggests retaining all three current names, and said it was consulting the United Ngunnawal Elders Council on the other two. The Weston Creek Community Council suggested calling Gungahlin Gungaderra after a local creek and homestead, or Gulbur Dhaura for an ochre quarry, or Yerrabi. It suggested the central electorate could be named Central Canberra, Limestone Plains, or Ngambri. The Gungahlin Community Council suggested Gungaderra, Mulanggari or Gungahlin.